Bring the Family Together at Dinner with Ragu®! I am a brand representative and have been compensated for this post. As Angeline has grown older, our family dynamic has changed in many ways, especially when it comes to mealtime. While we used to sit around the kitchen table as a family when Angeline was little, we now end up eating on the living room couch, with smartphones in hand while watching television. While it’s not my ideal dinner time situation, I am happy that we are still sharing our meals together and taking about our days or our upcoming plans together. It’s unconventional, but it’s still family time – and it’s better than eating separately! There are times when Angeline tells me that she is skipping dinner because she had a late lunch, and I try to coerce her into coming out into the living room with us. She’s going to be heading off to college in just two years, and I want all the family dinners I can get while she’s still here! On the flip side of that coin, there are times when I am still working on blog work when dinner time rolls around and the last thing I want to do is spend an hour in the kitchen cooking dinner. I rely on quick meals for nights like those, which usually means that I make a tasty pasta dish using Ragú® spaghetti sauce! 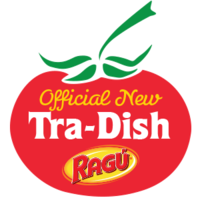 Every jar of Ragú® Old World Style® Traditional Sauce is packed with 11 juicy tomatoes, making it its richest, thickest recipe yet. It’s perfect for creating delicious dinners for my family in under half an hour! While Angeline isn’t exactly a picky eater, it helps bring us all together at dinner time when I make pasta because seriously, who doesn’t love pasta? Ragú® has an authentic Italian flavor and a pretty big selection of great tasting, quick and easy recipes. There are SO many different pasta recipes we can create with Ragú® that I can make pasta at least once a week and no one complains! Have you been struggling to find easy mealtime solutions for your family? 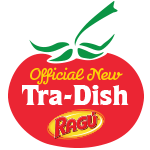 Check out the Ragú® Facebook page for quick, easy and delicious recipe ideas! Enter the Ragú Sweepstakes for a chance to win Authentic Italian themed prizes and a grand prize trip to Italy for a family of four! What? That’s right, a trip to Italy! Can you imagine all of the memories your family could make together in Italy? Think of all of the recipe ideas you would get after sharing family meals together in the birthplace of pasta! Make sure to enter the Ragú Sweepstakes and tell your friends too!